El Artesano is the perfect outcome of the combined mentality of great prosciutto craftsmanship with modern corporate concepts and a vision that is focused on the future. Our years of experience, dedication, and continuous progress support us. Our corporate mentality is focused on producing a product of the highest quality, through a process that is as natural as possible. We believe in never hasting the manufacturing process, in witnessing how the aroma and taste develop through time. Those are the core beliefs at play during the prosciutto making procedures at El Artesano. These are the key concepts necessary to create an end product with the attributes that captivate the domestic and foreign markets. Our facilities consist of 2,100 covered square meters, with more than 60% allocated to aging rooms for the prosciutto (Drying rooms). The rest of the facilities are destined towards Refrigerating Chambers, and Manufacturing and Packaging Rooms. Our state-of-the-art facilities, unique in the cold cuts trade, have a perfect layout, enabling us to keep the raw materials from ever coming into contact with the end product. Thus, the receiving of goods is a completely separate process from the shipping of goods. Our facilities possess drying rooms equipped with cutting-edge technology, destined to assist in the crafting processes, which are complying with the most strict sanitary regulations. 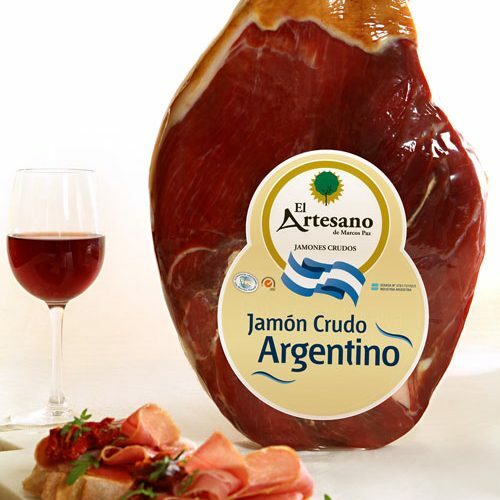 Said regulations make El Artesano de Marcos Paz one of the highest quality prosciutto makers in the trade.